Product prices and availability are accurate as of 2019-04-03 18:57:56 EDT and are subject to change. Any price and availability information displayed on http://www.amazon.com/ at the time of purchase will apply to the purchase of this product. Heavy-duty stainless steel frame with universal stainless steel mount frame can be used with ATVs, UTVs and zero-turn mowers 120-lb. 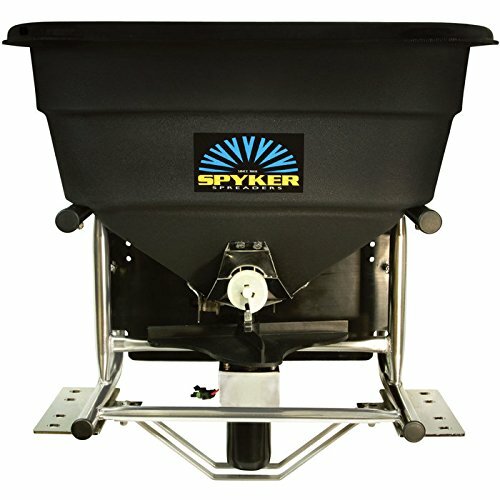 capacity poly hopper won't dent or rust Optional hopper extender, Item# 34595 (sold separately), increases capacity to 220 lbs. 12V electric motor has durable stainless steel components and is sealed for protection Standard variable speed spread control offers a wide range of spread widths, up to 25-ft.